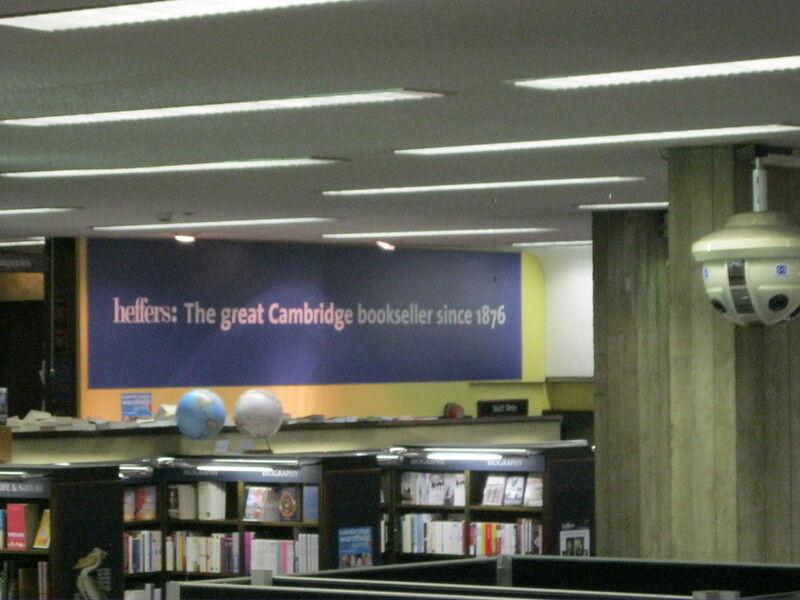 Heffers: The great Cambridge bookseller since 1876, reads the massive banner in the centre of what is essentially a city of books. A bibliopolis? 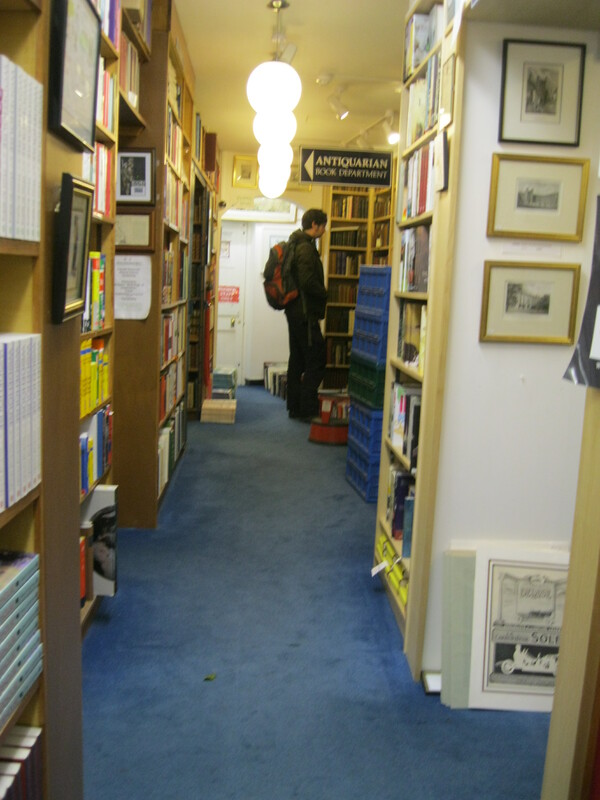 With its large size, wide selection and more commercial feel, this bookshop is a departure from the quaint, quiet independents I normally haunt in Cambridge, but it has its benefits. So bear with me. They can’t all be quirky and cute. Heffers has been providing Cambridge with the literature its students and residents no doubt gobble up for 137 years and has only recently been bought by Blackwell’s. Unfortunately this means that the place has lost a bit of its individuality and come to look a bit more like your average Blackwell’s or Waterstone’s. But that’s okay. As a literature student I can testify that sometimes creaky floors and yellowed pages just don’t give the selection you need. And that’s okay too. Both types of bookshops have their benefits and I thoroughly believe that we need both. We need places to explore, to wander, to seek and occasionally (though it’s not the most important part) to actually find. Ideally, we’d live in a world where we have enough variety that you can pick and choose, supporting the best local independent for the cause, moving around freely when what you need out of your bookshop is slightly different. Making new friends, but keeping the old, as they say. Why the internet age is so vehemently opposed to giving us choice is a mystery to me, except to suggest (conspiratorially) that maybe they like dictating what we can and can’t find. I know that that sounds insane, but think about it. Shouldn’t we be insulted that our intelligence is made so little of that big companies have the audacity to recommend books we may like, to limit our choices to one maketplace, to monopolise our book-buying, book-reading, book-reviewing and book-sharing experiences by eliminating all the competition? Cambridge, on the other hand, is a city that seems to have it right. 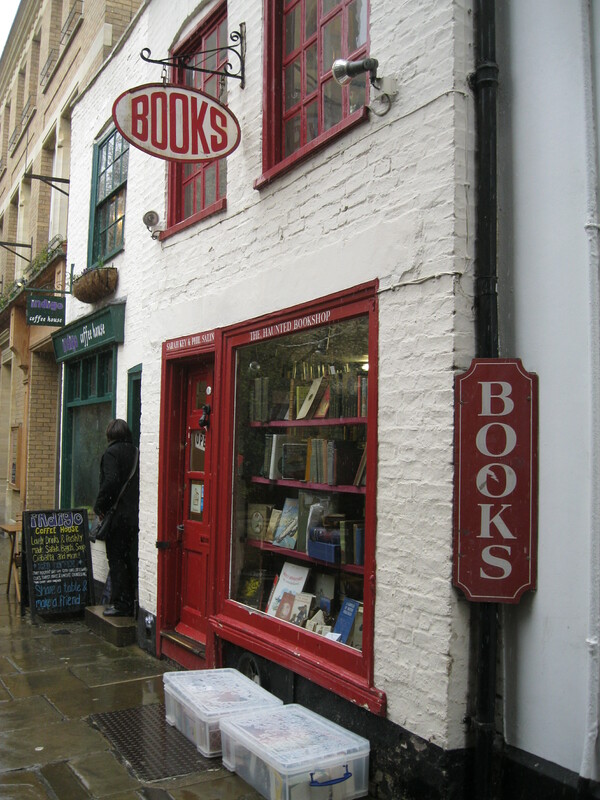 Its narrow cobbled streets house every point on the spectrum, from Waterstone’s at one end, The Angel Bookshop somewhere in the middle and The Haunted Bookshop at the extreme other end. Heffers is just another point on the spectrum; a place you can feel good about patronising because it’s a bricks and mortar bookshop and still technically an independent, but which has all the convenience of the big chains. But that’s not to say it hasn’t retained some of its own individuality. 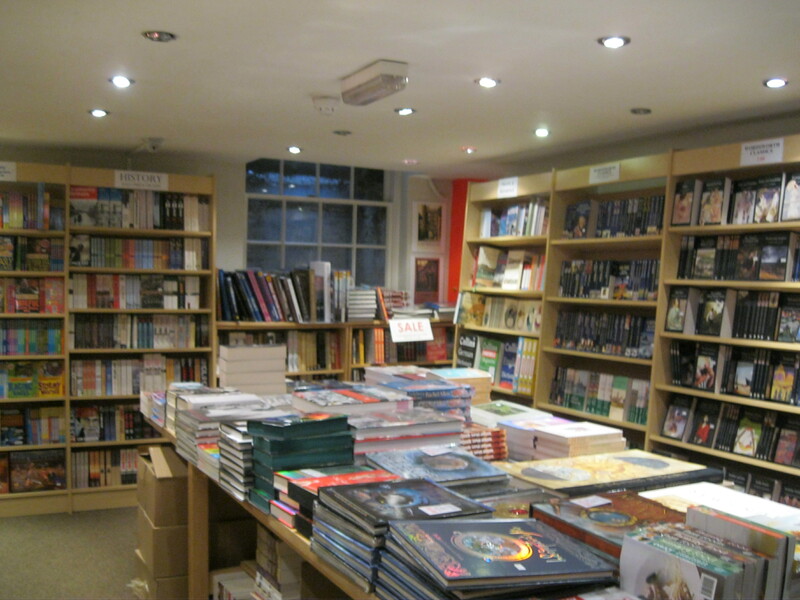 It is a far more specialised bookshop and has a fantastic range of academic books, for which I have no doubt the students at Cambridge are very grateful. 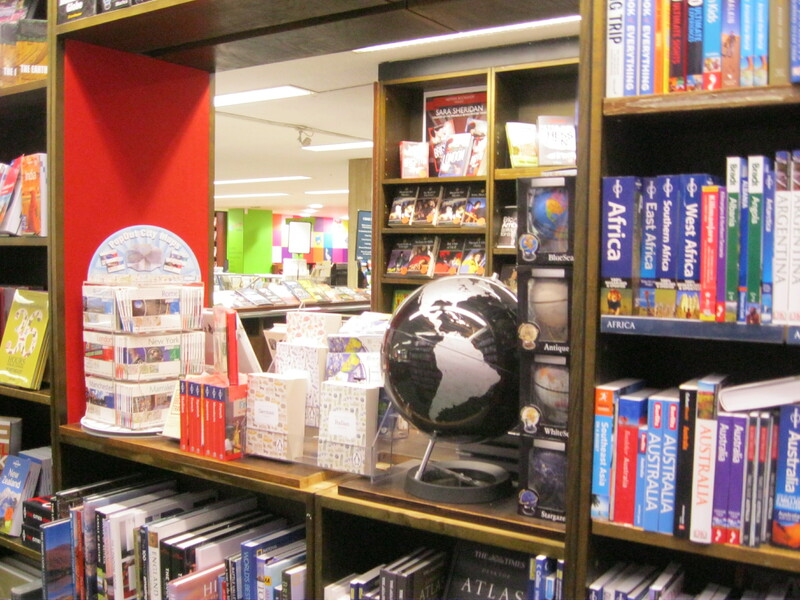 It goes beyond just English students though and has music, art, history, politics and economics sections that stock more than the bestsellers and offer choice, variety and a high quality selection. It also has an entire section filled with prints, ranging from classic pieces of art to posters of Che Guevara to decorate any pretentious first year student’s walls. 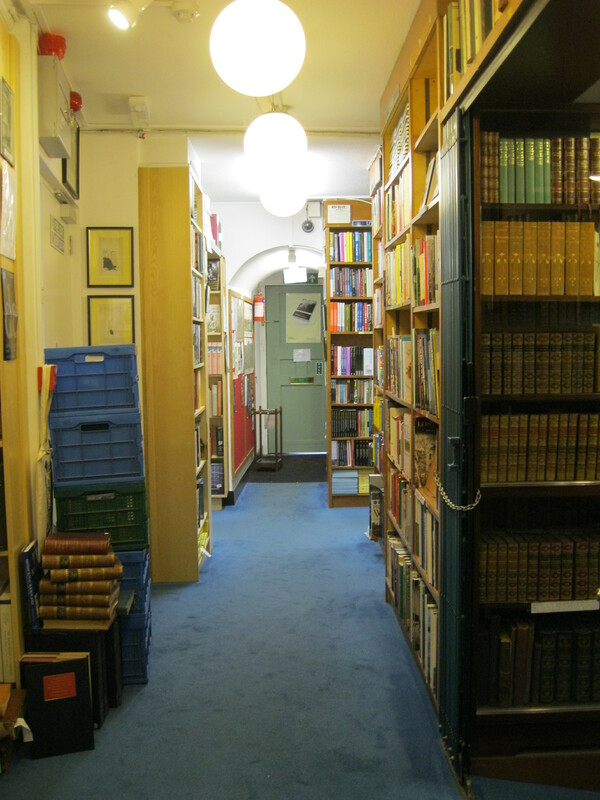 Furthermore, unlike a chain, it also has a small secondhand books section in the basement, providing even more options for skint students and tightly-budgeted families. 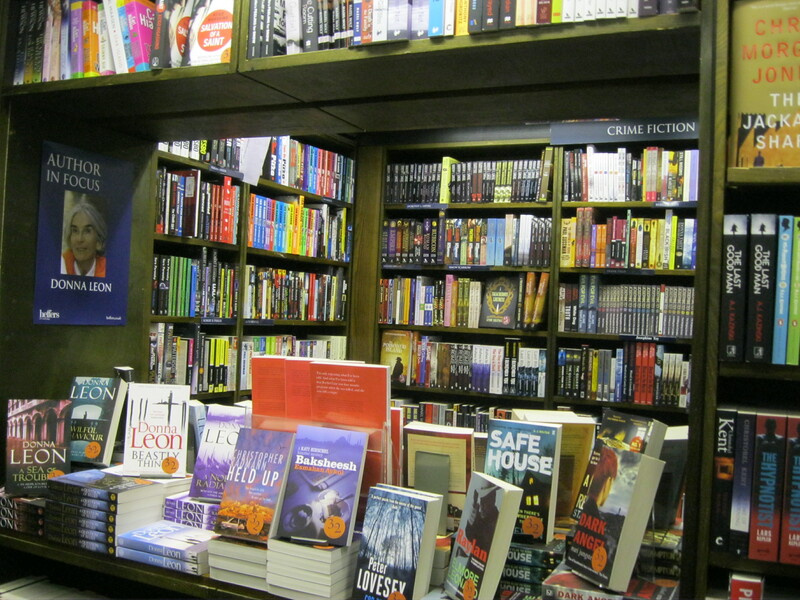 The layout of the books is also infinitely more appealing than an ordinary chain bookshop. These little windows cut into the middle of shelves not only add a bit of fun and playfulness to the shop, but encourage all those trite but nonetheless accurate sentiments about books being windows on the world. 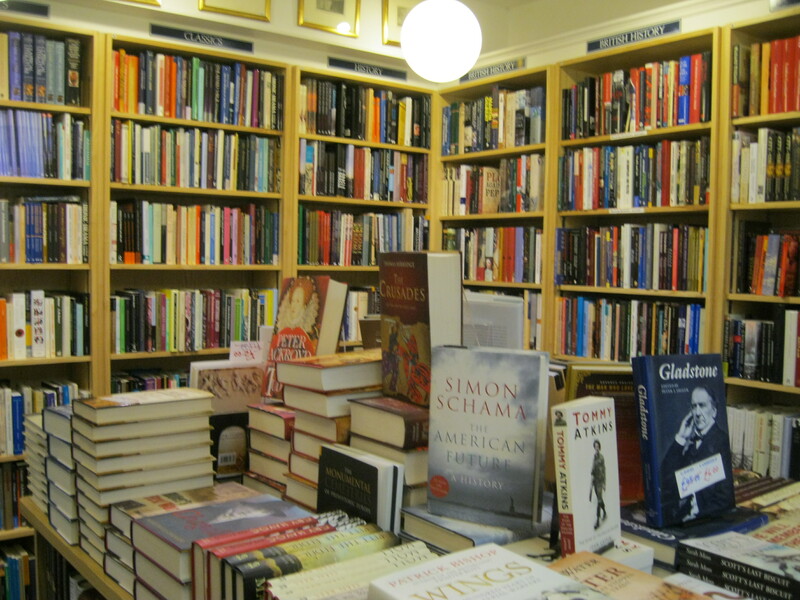 The size of the shop, its selection and its quiet, serious atmosphere make it perfect for Cambridge. 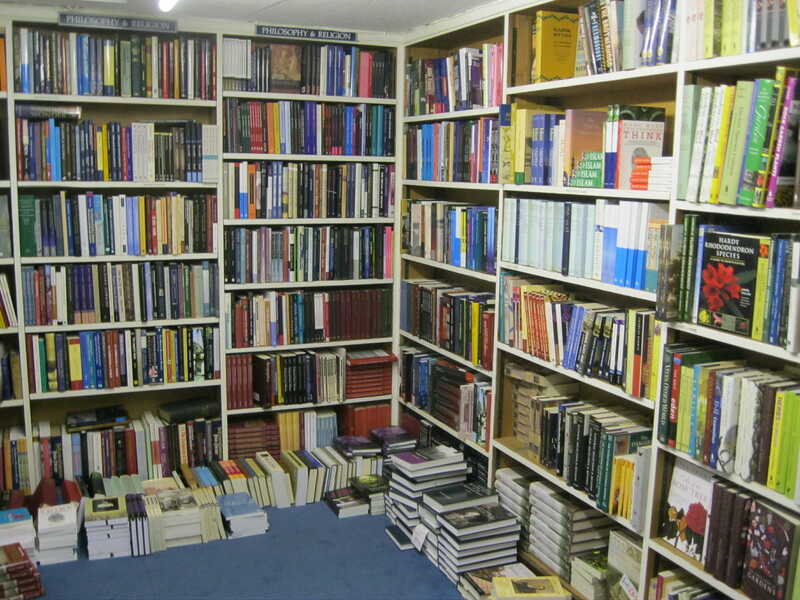 It caters to frazzled undergraduates who desperately need a certain book, as niche or obscure as it may be, while still providing a relaxed environment where any resident or visiting bibliophile could quite happily spend the whole day. I think it’s appropriate to end this fun little Cambridge mini-series with Heffers. 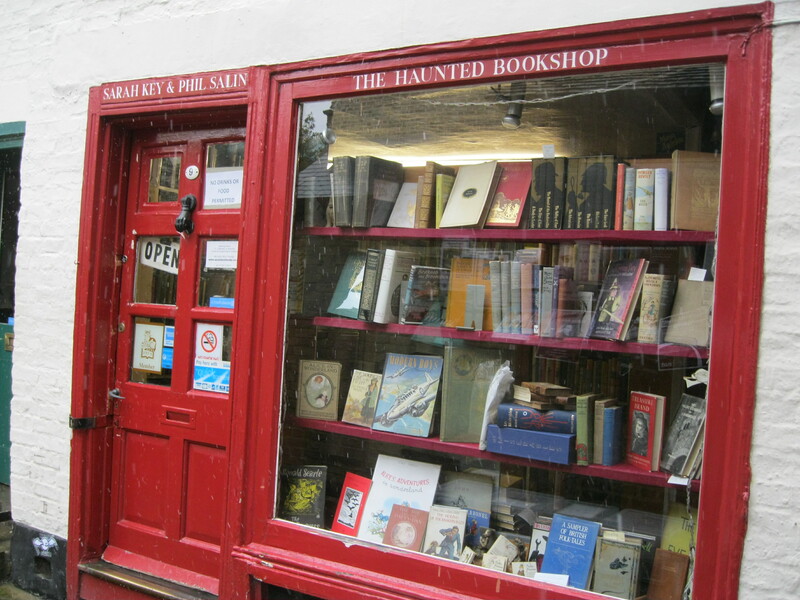 One of my favourite things about the city of Cambridge is that it’s full not only of books, stories and poetry, but of a range of brilliant independent bookshops. It is a place that gives back something we’ve been missing these past couple of years: choice. Because why should a giant company or an impersonal website decide what we read? Surely books should be the way we express not our conformity, but our originality, or individuality. Surely they should be the way we show not our laziness, but our adventurous side, our free and independent minds, our unique imaginations and our personalities. In Cambridge, book lovers have it made. They can have an adventure amongst yellowed, tea-stained, dog-eared pages and creaky attic stairs, or they can get in and out with the book they’ve been needing. Heffers may not be my favourite bookshop in the world, but I’m glad it’s there, proving that we actually don’t need worldwide monopolies dictating everything in order to still have convenience and ease. It shows that we don’t need to bow to the big fish to get the obscure titles or out-of-print classics we love. All we really need are a couple of dedicated booksellers. St. Edward’s Passage is a narrow little side street that ducks away off King’s Parade in Cambridge. It’s the kind of street that you could very easily not notice and pass by without ever realising that it was there. 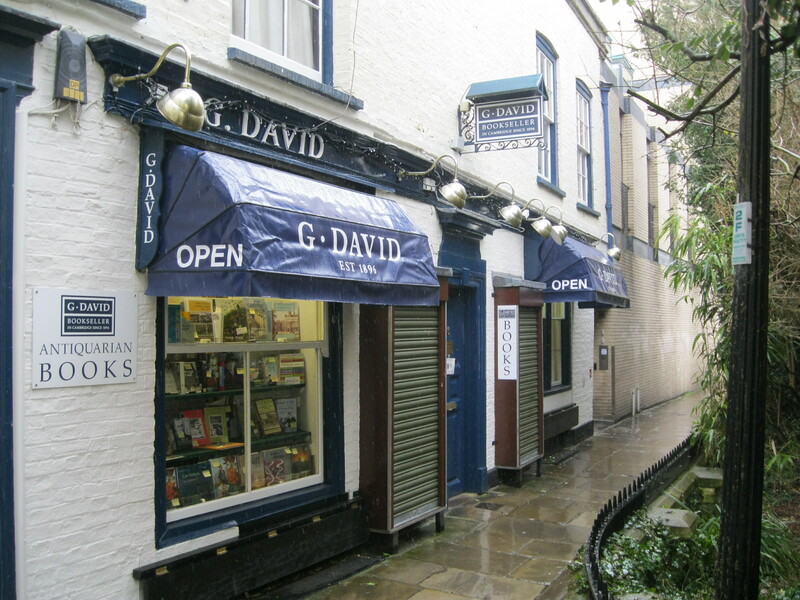 G. David Booksellers (also referred to as David’s Bookshop) is, remarkably, even easier to miss, as it’s on a narrower bit of street which veers off to the left while the rest of the street carries on forward. It’s almost as if the bookshop is hiding from the prying eyes of noisy tourists, setting itself apart for those who really want to find it. 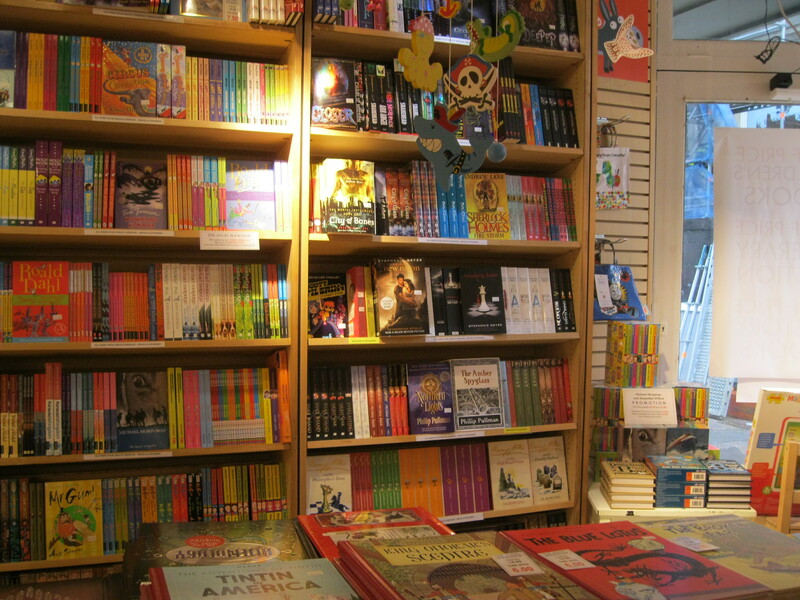 Inside is a world where any book-buyer will find something to fall in love with. 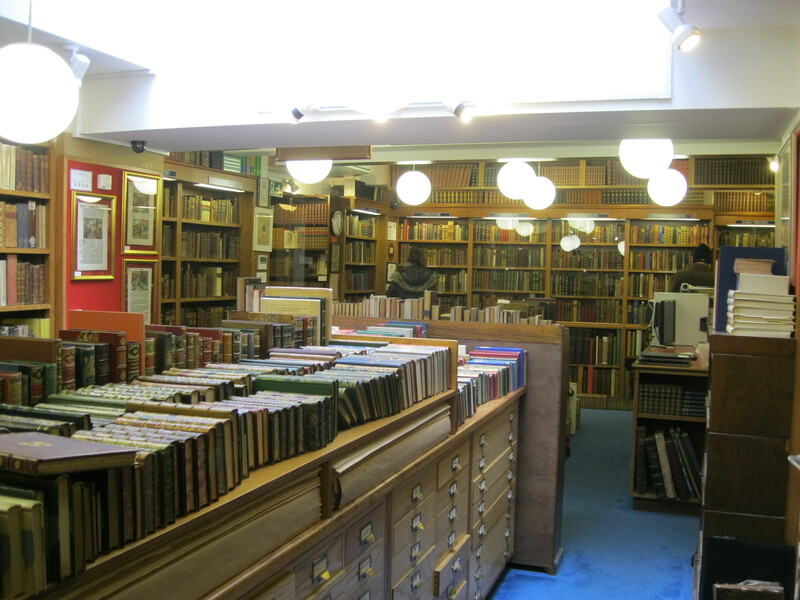 To make sure of this, G. David stocks new, secondhand and antiquarian books. 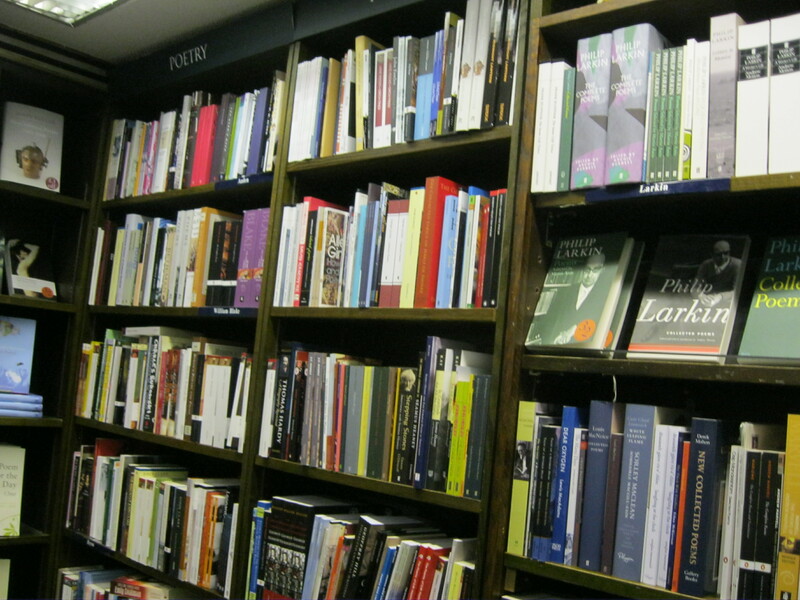 The new books are usually slightly cheaper than retail price, and they fill up the history, fiction, classics (not classic literature, but classical literature – I love that they have an entire section just for that), Shakespeare (again, his own section), poetry and drama. 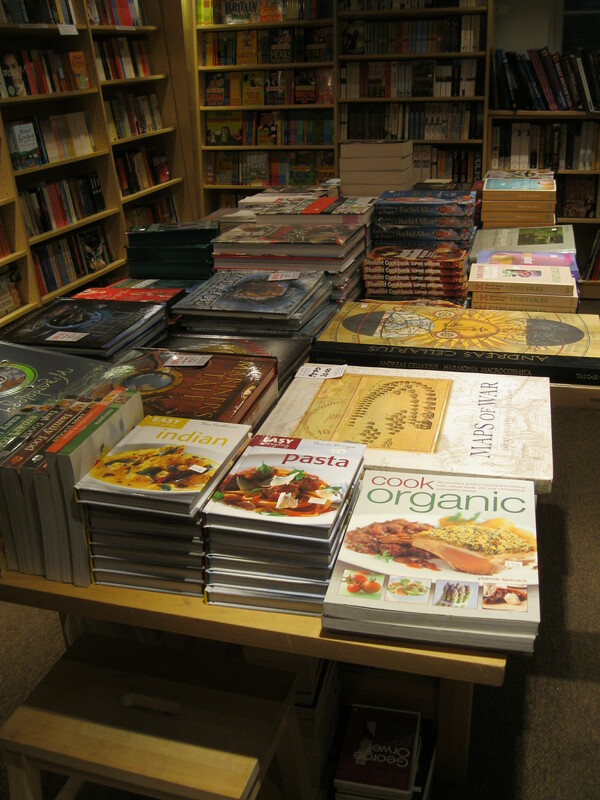 In amongst these new titles are secondhand books for very cheap prices. In the children’s section there were £1 Wordsworth Editions copies of all the classic children’s tales and cheap secondhand copies of everything from Harry Potter to Narnia, all for around £2 or 3. 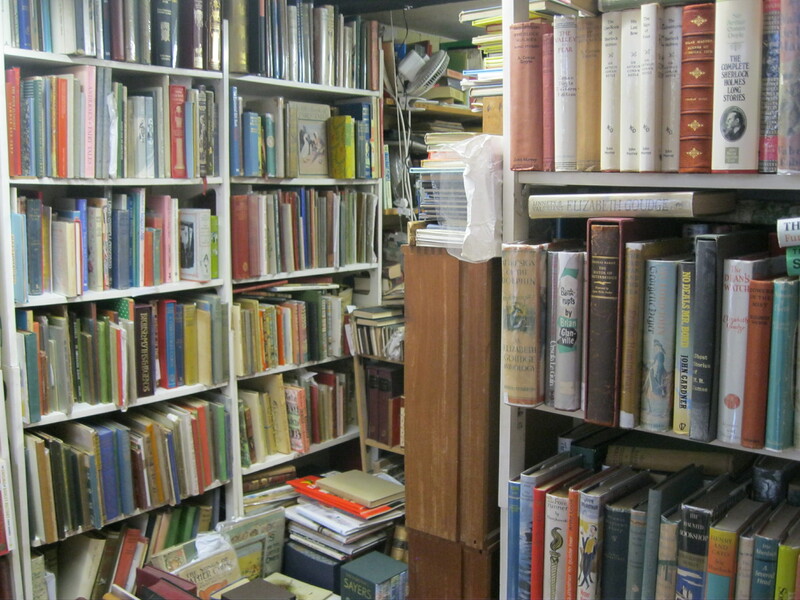 The selection is a bit quirky, as it usually is in secondhand bookshops. Like any good secondhand shop, it’s not the place to go when you know what you want or need immediate results. But it is the perfect place for browsing. The new books are clever and well-chosen, so if you do wade through the unorthodoxy that always exists in any good used bookshop and actually buy something, you’re guaranteed to walk out with an actually good book. The secondhand books reveal some interesting patterns – someone nearby has an obsession with PG Wodehouse and has provided dozens, if not hundreds, of his novels, which take up an entire wall. There are also, as I mentioned, dozens of editions of Shakespeare’s plays and poetry and piles of secondary criticism about his works. Downstairs, in the basement, are the sections that always seem to get relegated to the basement. Isn’t it unfair that fiction is always front and centre, while gardening is always hiding somewhere in a back corner or a dingy cellar? As someone who’s never bought a gardening book in her life, I have no right to complain, but I must say it gives me much more sympathy with the gardening, nature and pets books that always populate those silent, cobwebbed back corners. Although if I were a book, I must say those quiet corners are probably where I would set up camp. If the front rooms and the basement are the areas where browsers are likely to find something they want to flip through, buy, take home and treasure, then the back room is the place to go when you would actually like to be impractical and a little bit decadent, thank you very much. For it is here that the antiquarian books live. Modern first editions and early copies of classics line the walls with their leather bindings, gold leaf pages and their red and brown spines facing out to the world. They are a sight to be seen. Particularly worth looking at are the many books in the Local Interest shelf, which cover the history of the city of Cambridge, the university and local customs and traditions in Cambridgeshire. A lot of them have fascinating photographs or illustrations of the city from years ago. From obscenely beautiful books about mundane things like the UK’s flora and fauna to first editions of Ford Madox Ford and T.S. Eliot, there is something here for everyone to admire and try very hard not to literally drool over. The best thing I found, though was a first edition of The Lion, the Witch and the Wardrobe by C.S. Lewis. Aside from how incredible it is to hold a first edition of any famous book in your hands, this particular copy was absolutely unique because of what other readers from the past had left inside it. In the front cover was a beautiful ex libris, which I think was issued by the owner’s primary school, which said that it had belonged to a little girl called Caroline and was given to her in 1950. In addition to this little footprint there was a small yellow sticker on the inside cover referring to a book club operating in Nairobi. How this book made it from a schoolgirl in England in the fifties to a reading group in Kenya is, I’m sure, a fascinating story which I would love to know, but am happy to imagine. I was sad to leave it behind, but maybe one day I’ll go back for it and add my own story to the – clearly long – list of stories in which this single book has played a part. My parents, together, have read Narnia out loud 28 times. Seven books times four children, taking up years and years of bedtime stories and years of their lives. The box set we have, though it’s not a first edition, is worth infinitely more to me because not only did I sit and invest hours of my life reading them, but I know that all of my brothers, with their tiny child hands, did the same and that 28 times my parents read them aloud, providing definitions of hard words, acquiescing to demands for one more chapter, and doing the squeaky mouse voice of Reepicheep. Beautiful old books have always excited me; medieval manuscripts were my favourite part of every museum, just about beating the dinos for the top spot. There’s a sense that holding them, you are experiencing some kind of communion with the first scribe who copied out the words in some French monastery all the way down to the little girl who wrote her name and the date inside the front cover. But you don’t need to be holding the first edition of Ulysses (but oh my god, can you imagine?) for a book to bring you closer to someone else. Any old book buried in a pile in a shop far away from home can call to mind our own experiences reading, reminding us of the people who’ve shared them with us, the questions they’ve made us ask and memories – private or shared – we’ve made between the pages. Yes, I want the beautiful first edition, but I’d never trade it for my own tattered copy, infinitely more precious but probably worth only about a hundredth of the price. The last time I was in Cambridge it was summer, the stone chapels and colleges stood out against a bright blue sky and my legs were bare. I remember sitting out on the grass reading Julian Barnes’ The Sense of an Ending and being in a good mood despite my disappointment with the novel. But this time around, I find myself scurrying from bookshop to coffee shop and back out again only when I’ve read a bit of poetry or had a bit of tea to steel me against the snow. Yes, snow. In March. This time around, I’m sitting in Cafe Nero’s (don’t judge me, the independents here are all expensive) and reading Toni Morrison’s Sula. The bleak weather of England and the hot American South of the novel make a surprisingly good combination. And the tea doesn’t hurt. When the weather in England does this to us, we let out a collective sigh of ‘Why the hell do people still live here?’ That said, days like this are as perfect for some activities as they are preventative for others. I’ve heard this called ‘museum weather’ and ‘cinema weather’ and the general consensus seems to be that on days like this, staying somewhere warm and comfortable is the only thing to do. Hence my pattern of bookshops and coffee shops. 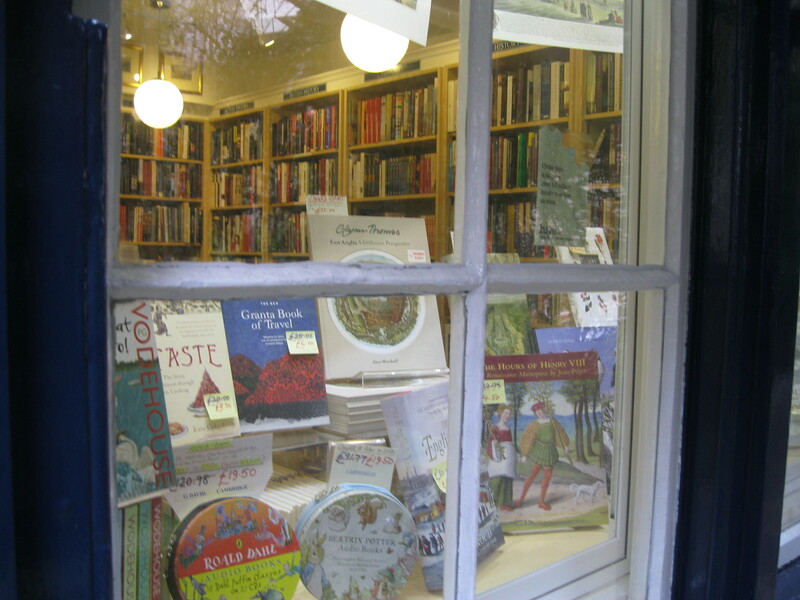 Cambridge’s Angel Bookshop in a way seems to be at its best on days like this, when the only thing anyone can think about is coming in from the cold. When winters got cold in my childhood, the most wonderful feeling in the world was to come home, take off my boots and wet socks, be wrapped up in a blanket and read a story. In many ways, it still is. 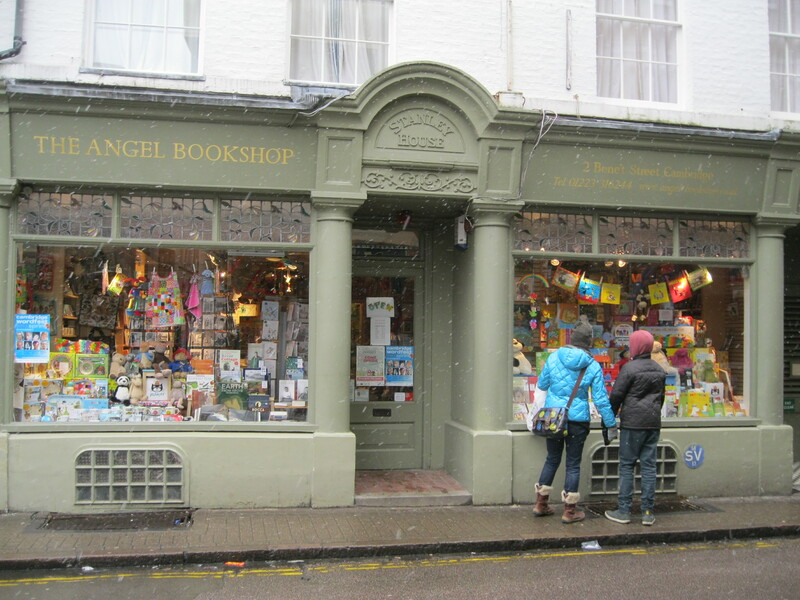 Although nothing can compare to your mum’s hot chocolate and her storytelling (my own mum has the best troll/goblin voice in the world), walking off the road and into The Angel Bookshop comes pretty damn close. Run by the same bookseller who owns The Lamb Bookshop back in Bloomsbury, The Angel shows evidence of the same careful selection of books, dedication to good quality children’s literature and incomprehensible ability to provide browsers with discount prices, undercutting Waterstone’s, if not Amazon. A large portion of the ground floor is taken up by children’s books and the entire floor feels like it is, with colourful mobiles hanging from the roof and The Gruffalo staring at you from almost everywhere. Already feeling nostalgic for the warm insides of my childhood, this bookshop reminded me of another one half a world away where my love affair with reading began in the mid-90s. It was called Mable’s Fables and like The Angel Bookshop, it had a brilliant selection of children’s books arranged by age group. If only Twilight hadn’t been present in the Angel’s 11+ section, it would have been perfection. 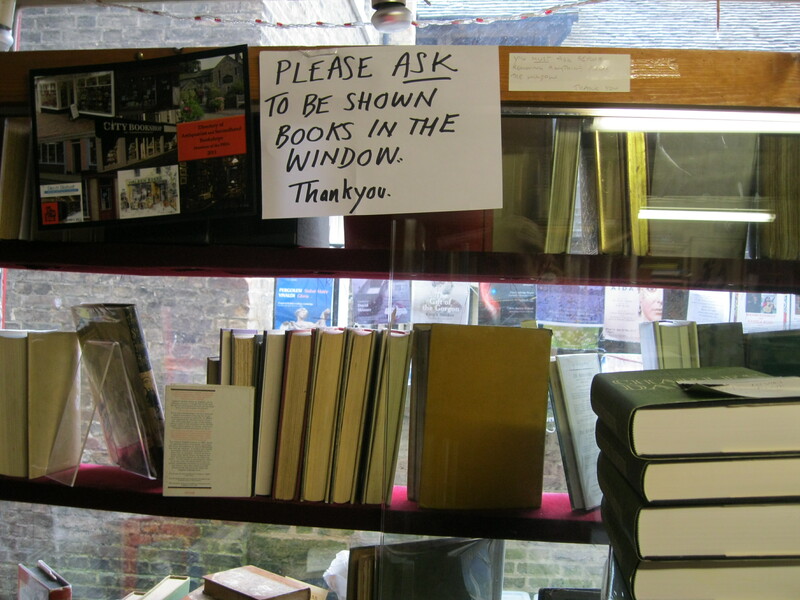 But I guess even the best of bookshops are subject to the ridiculous whims of the market. 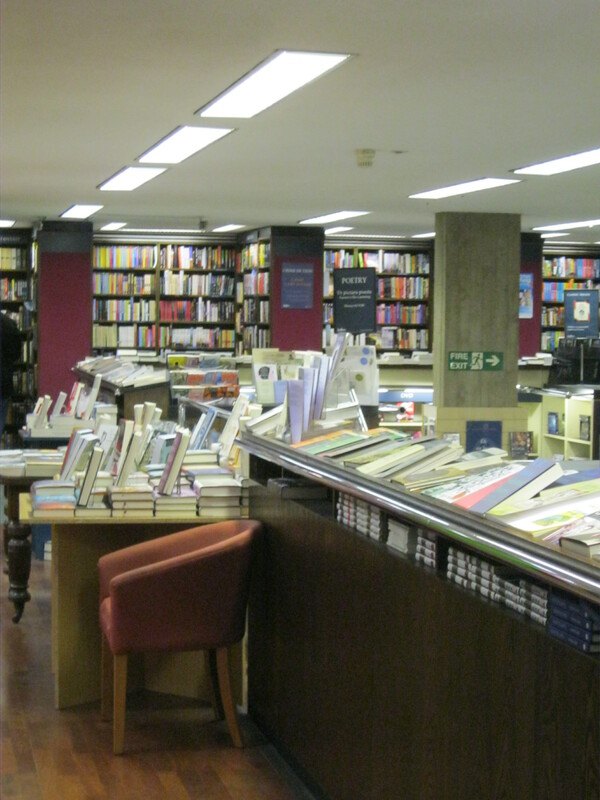 Also on the ground floor are some fiction books with a sign promising more downstairs and shelves filled with cookbooks, travel literature and a table of miscellaneous recommendations. The most interesting one was called The Book of English Magic by Philip Carr-Gomm. It is, sure enough, a book about the history of magic and the literature of magic in the British Isles. I mean, come on, how cool is that? I spied a chapter called ‘Star-cunning and Wyrd-craft: The World of the Anglo-Saxon Sorcerer’. I am a massive geek about Old English and about Anglo-Saxon literature and one of my favourite OE words is wyrd which means something like fate or destiny – the modern English word ‘weird’ is descended from it. My second favourite is wordhord, literally ‘word hoard’ which is basically the words that you store up and keep, waiting to be used, in your mind. When Beowulf says he is opening his wordhord, he means he is unleashing his words; he is storytelling. My completely unacademic theory is that wyrd and word sound similar because words and stories and poetry have the power to not only tell, but decide our own stories and our fates. But enough of my geekery. Downstairs is a basement full of bargains. There are, of course, Wordsworth Classics for £2 each, but there are also contemporary fiction, biography and autobiography, literary theory, travel and history sections. 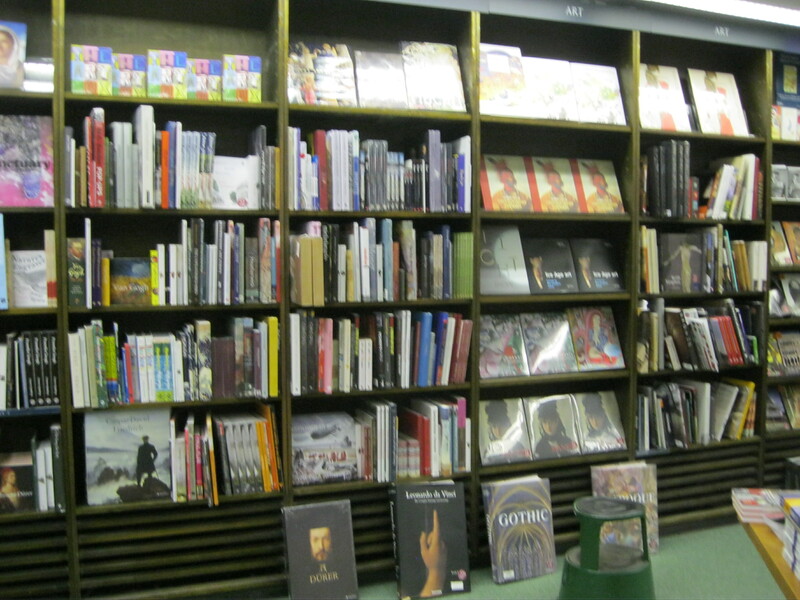 The majority of the books are massively discounted, most are half the retail price. I bought a hardcover copy of the massive The Pale King, David Foster Wallace’s posthumous and unfinished 2011 novel. It was discounted from £20 to £8 and more than worth having to carry the thing around with me for the rest of the day. I think. I was also delighted to discover a large hardcover book on the central table (which incidentally is absolutely covered in beautiful and interesting books – seriously, a treasure trove) which was a complete and full-colour facsimile of the 1660 Harmonica Macrocosmica by Andreas Cellarius. Guess what it is. It’s a star atlas. A star atlas. How very romantic is that? The book was absolutely giant and cost £40 (though that was a discount too) so I didn’t buy it. It is also the least practical purchase I could possibly imagine, but I still kind of regret the decision. On my way back out of the basement (where I spent a very long time), I passed back through the children’s section again. As I lovingly admired books by my old friends Enid Blyton, Roald Dahl, Philip Pullman and Judy Blume, I relived that bittersweet moment from childhood when you realise that even if you read all day every day for the rest of your life, you’d still never get to the end of all the books. Though the thought almost certainly depressed me the first time I had it years ago, when it has returned over the years I’ve been struck also by the positive side of it – you could read all day every day for the rest of your life, but you’d still never run out of books.